“Pretty in Pink”! 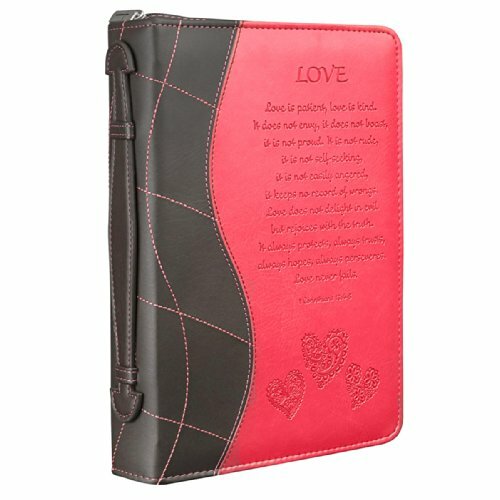 That’s what you’ll be, sporting this leather-look, flower appliqued and quilt-stitched Bible cover. “Joy” is stitched on the front, and verse from Psalms 16:11 is screen-printed on the back – where you will also find a zipped pocket. 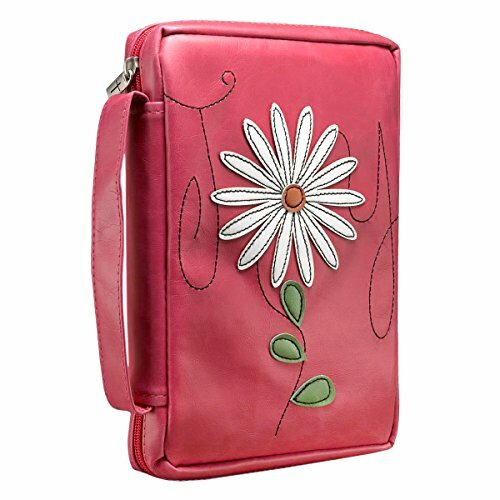 Other features include a convenient sewn-in carry handle, a cross engraved zipper pull and a pen loop inside. Books and Bibles come in many sizes. Measure yours to ensure the perfect fit.